In Mark Twain's classic tale of friendship and adventure, Tom Sawyer is the trouble-making leader of the boys in a small town in Missouri. 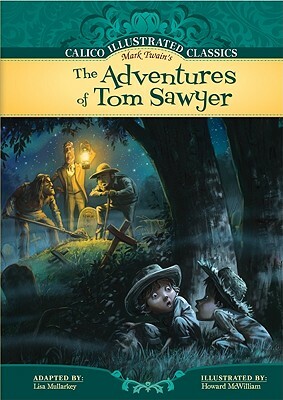 Tom uses his wit to talk his friends into all kinds of adventures, including witnessing a murder, pretending to be pirates, and finding treasure Even school is an adventure with Tom in the Calico Illustrated Classics adaptation of Twain's The Adventures of Tom Sawyer. Calico Chapter Books is an imprint of Magic Wagon, a division of ABDO Group. Grades 3-8.